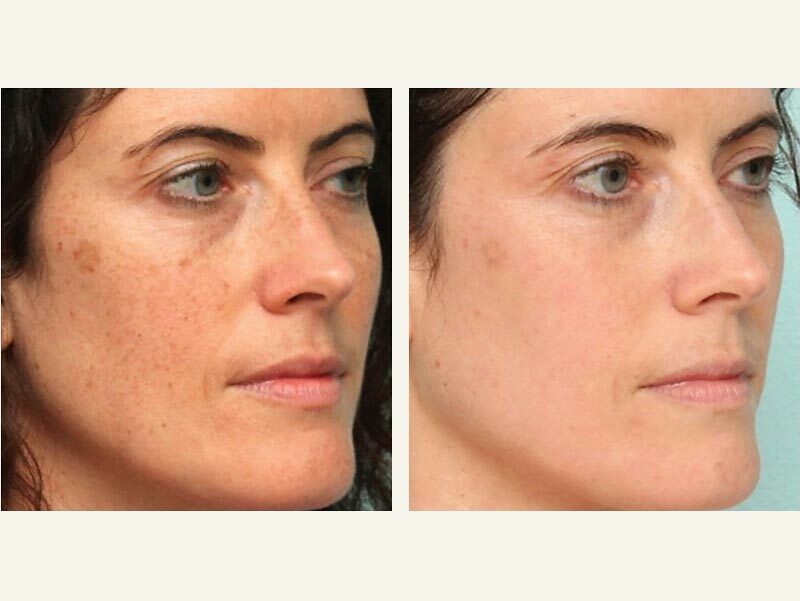 Pigmentation or hyperpigmentation refers to dark spots, patches or general skin darkening. Skin darkening is caused due to external and internal factors like UV rays & hormones, which activates the pigment cells to create more melanin. There are many factors that contribute to the production of melanin, which may cause pigmentation. 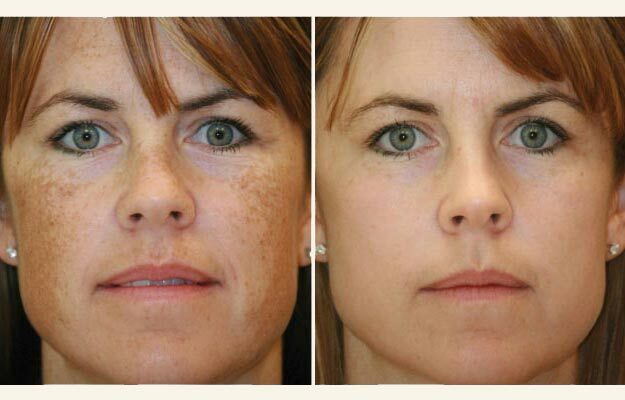 Being overexposed to the sun or sun damage plays a big role in the appearance of hyperpigmentation. Antibiotics or other medicine such as contraceptives or hormone treatments are also known to play a role. Acne, inflammation of the skin or picking at the skin may cause pigmentation, but pigmentation in the form of freckles may be genetic and hereditary. Sun exposure and hormonal changes can also trigger melasma, which presents itself as pigmented patches of skin. Most patients get melasma on their cheeks, nose, forehead and upper lip, although it can also show up in other sun-exposed areas, such as the neck, chest and forearms. In some cases, melasma will fade on its own, especially if the trigger is removed- such as when a baby is born and the woman is no longer pregnant. For sun-related melasma, we recommend preventing future UV exposure by wearing sunscreen every day and wearing sun protective clothing. If melasma does not fade on its own, a skin-tone-appropriate peel or BroadBand Light -BBL™ treatments together with topical skin lighteners such as Hydroquinone, retinol and Vitamin C is recommended. HOW TO PREVENT EXCESS PIGMENTATION? Even though it may not always be possible to prevent hyperpigmentation, there are a few suggestions on how you might minimize the risk of developing it later in life. Most importantly you should always protect your skin from the sun by using a UVA and B protection cream as well as a SPF moisturiser. Be wary of applying perfume to the neck where it might cause pigmentation and try use a brightening cream in your daily beauty regime. WHAT ARE THE MOST COMMON TYPES OF PIGMENTATION? Hyperpigmentation: generally due to sun exposure and on areas such as face, hands and arms. They are generally small and darkened patches on the skin. Freckles: Freckles are caused by sun exposure and mostly appears on the face. 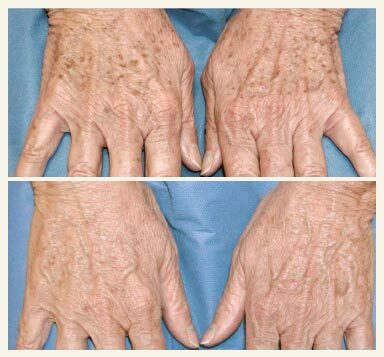 Sun spots – They are sometimes wrongly referred to as liver spots which might appear on the hands and face. This is caused by prolonged exposure to the sun or sun damage to the skin. Melasma/Chloasma: Melasma – This type of pigmentation is believed to be caused by hormonal changes, commonly developed during pregnancy or even while on the pill. It may appear on the cheeks, forehead and upper lip. It shows up on the skin as dark and irregular shaped areas on the face. PIH (Post Inflammatory Hyperpigmentation): This occurs after injury to the skin. The pigmentation is usually flat and discoloured. We see it often after acne scarring. 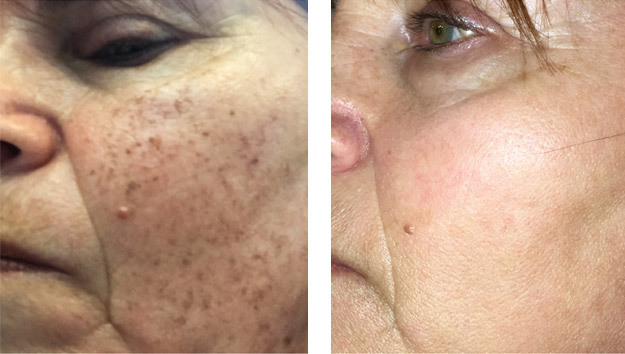 There are a variety of pigmentation treatments available at our practice, however the one best suited to you and your skin will be discussed thoroughly in your initial consultation with skin and Laser specialist Cherie Cochrane . Prescription creams -may help reduce pigmentation but works best when used in combination with BroadBand Light -BBL™ treatments. Chemical peels -involve applying chemicals to the skin to help get rid of the top layer and fades the appearance of mild discolouration. BroadBand Light -BBL™ treatment is the ideal treatment to treat sun damage or freckles on the face, chest, arms and hands.